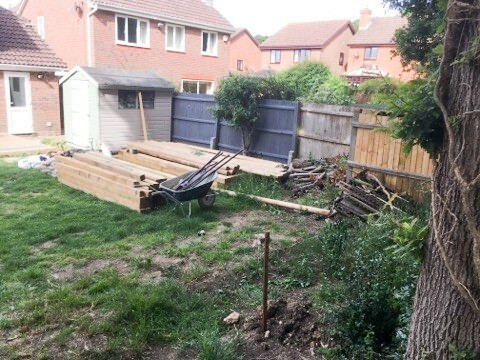 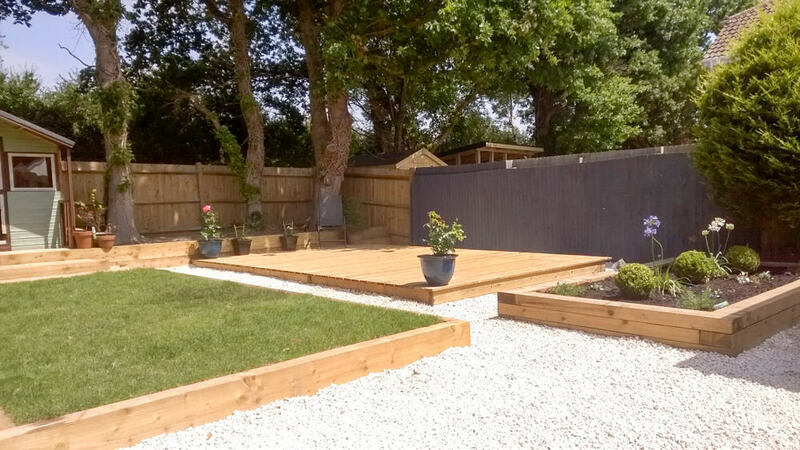 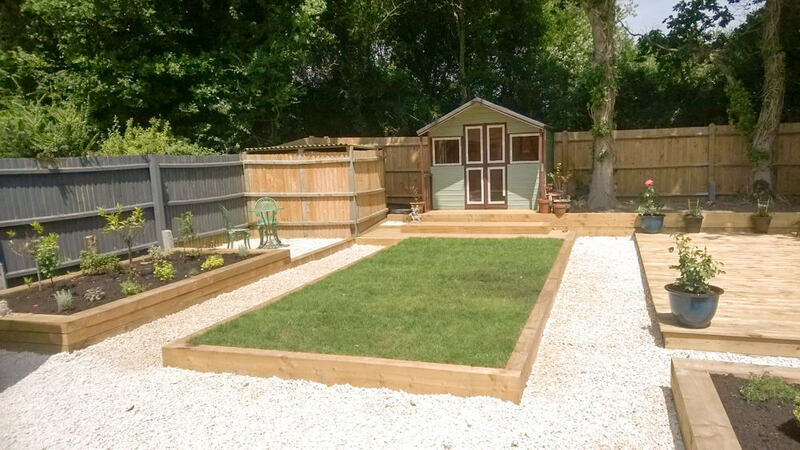 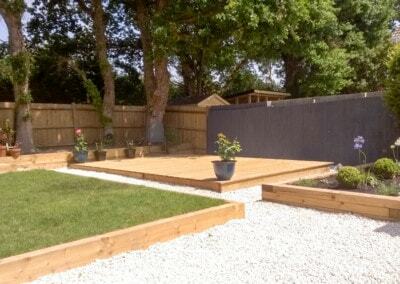 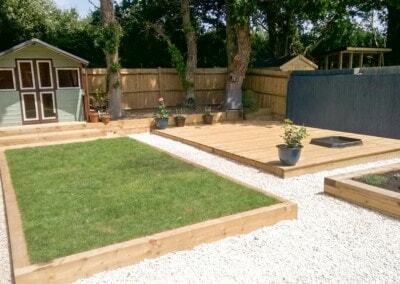 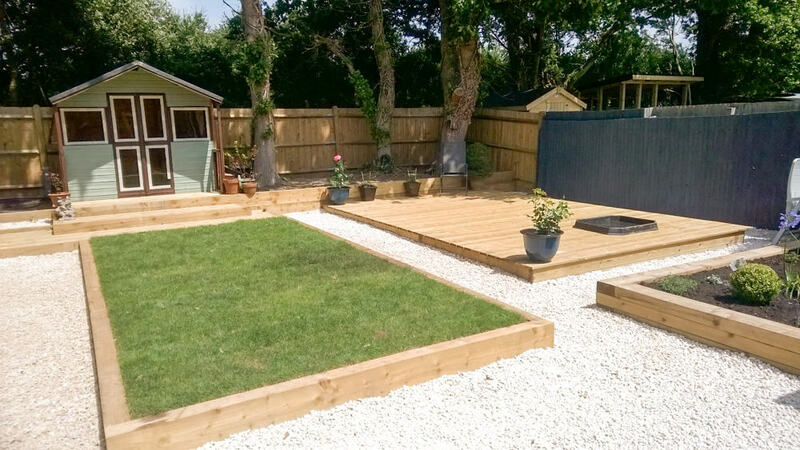 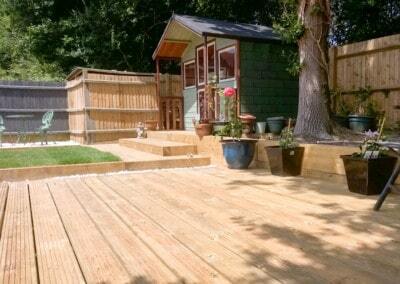 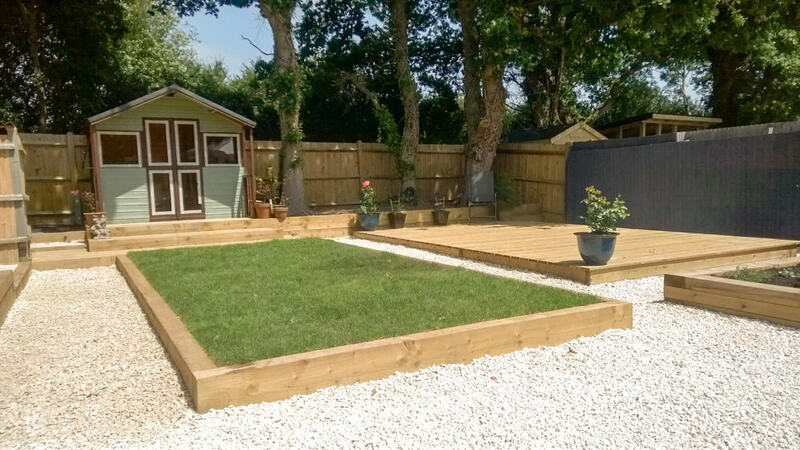 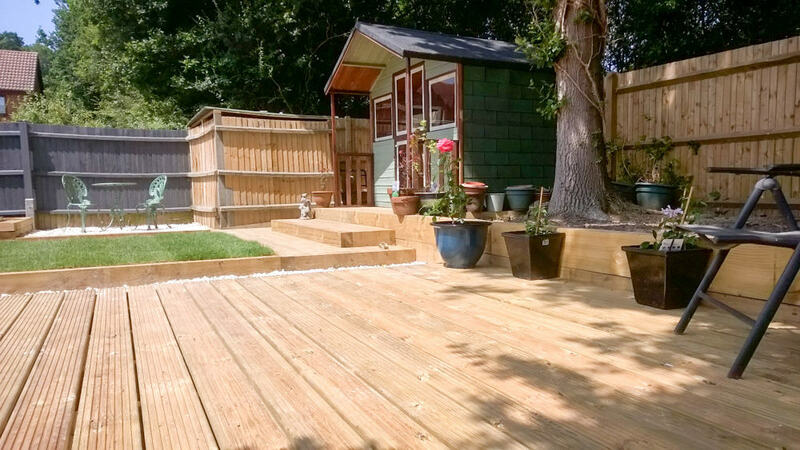 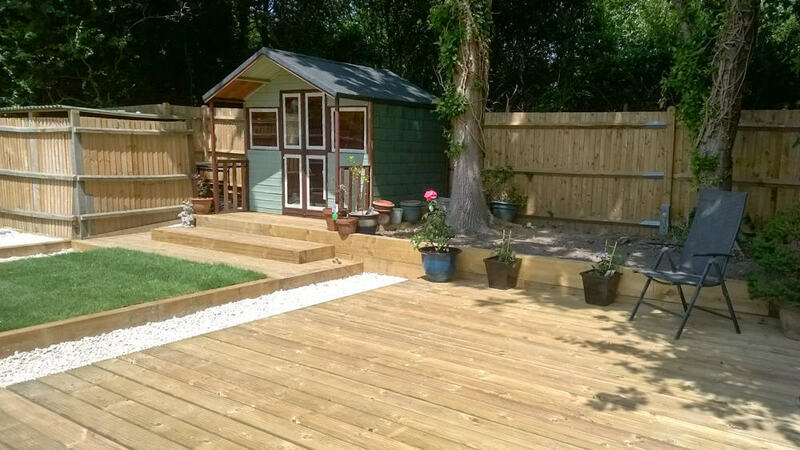 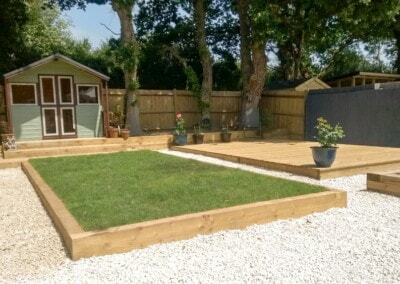 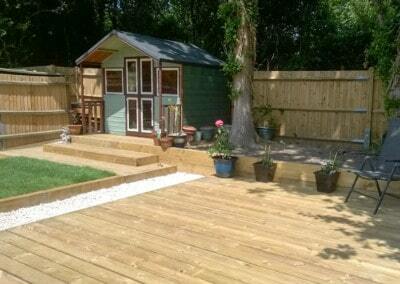 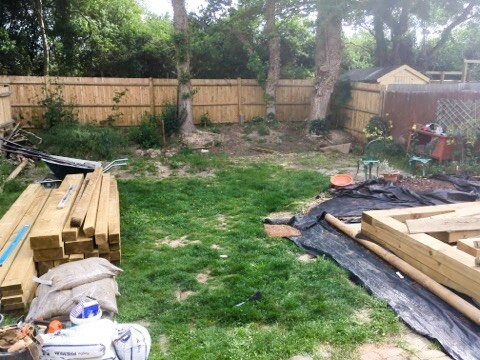 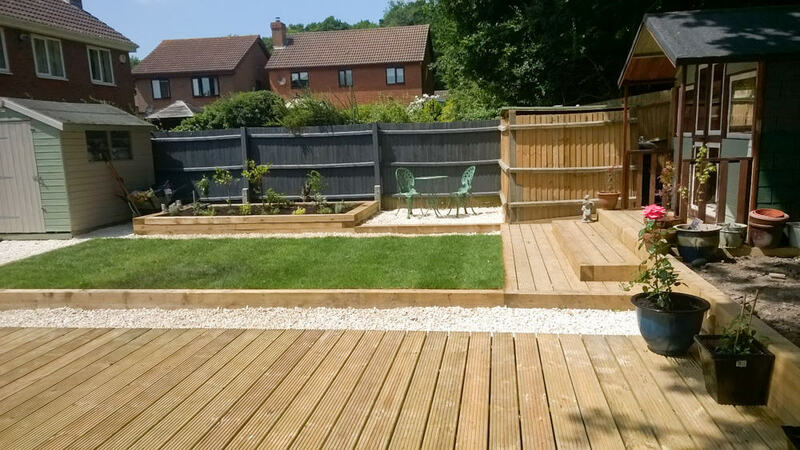 The client wanted a complete landscape gardening transformation for their property in Hailsham. 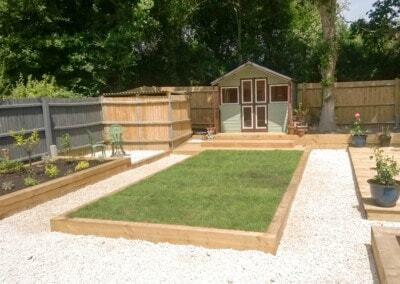 The main part of the brief was low maintenance. 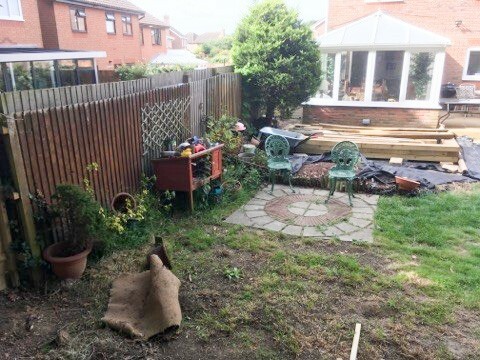 The existing garden, through lack of garden maintenance was uninspiring and over grown. 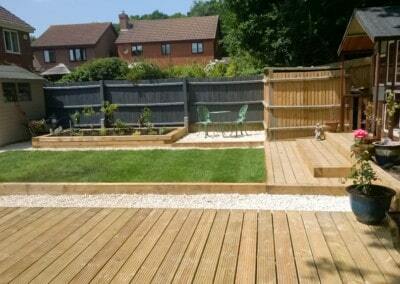 The lawn was very dishevelled and almost impossible to maintain due to the lumps and bumps in the soil.